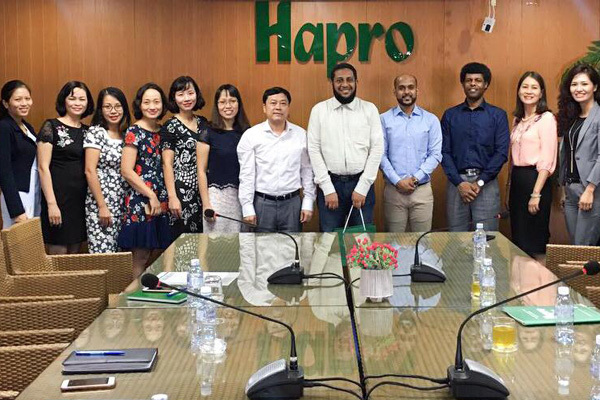 Ithraa, Oman’s inward investment and export promotion agency, recently had a small team on an exploratory trade visit to Vietnam, during which meetings were held with government officials and representatives from the Vietnamese business community. Mazin Al Siyabi, Ithraa’s head of exports, led the team during the trade visit which took place from July 23 to 27, said a statement from the organisation. The aim of the mission was to explore trade relations between Oman and Vietnam and for Ithraa management to strengthen their knowledge of the many and growing commercial opportunities in Vietnam, it sad. Fueled by rapid growth and increased foreign direct investment (FDI), 2017 emerged as one of the strongest years for Vietnam. With GDP growing at 6.81 per cent, record FDI levels and trade figures reaching an all-time high of $400 billion. Ho Chi Minh City continues to lead amongst all cities and provinces, followed by the northern province of Bac Ninh and the central province of Thanh Hoa. Other major FDI destinations include Nam Dinh, Binh Duong, Kien Giang, and Hanoi, it added. Research estimates that Vietnamese import demand is expected to grow by around 250 per cent between 2010 and 2020 - faster than any other emerging power, including China, said a statement.